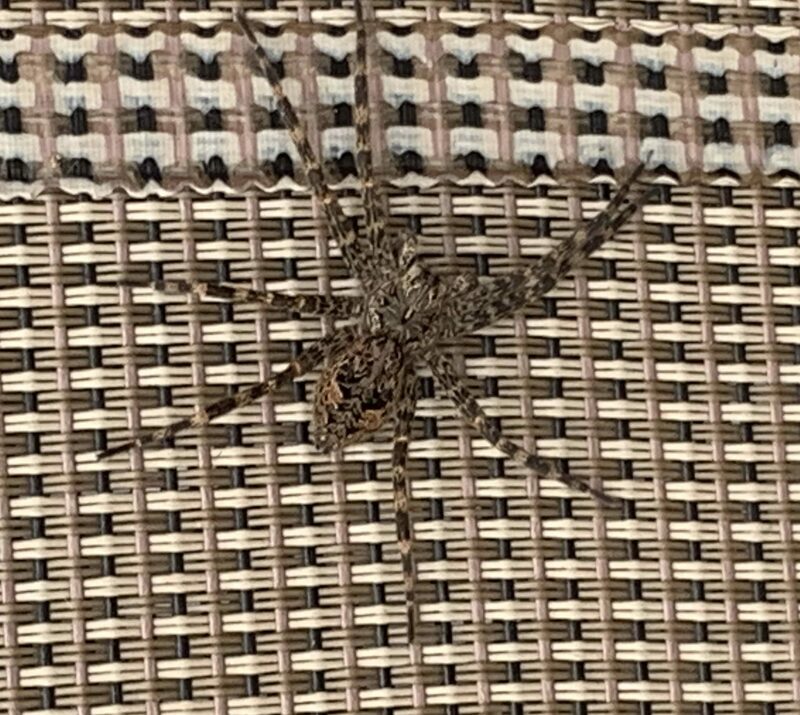 I found this spider on my stacked chairs. It was on the second chair down. It was a nice day mid to low 70’s. I was at a campground near Lancaster PA. When I shoooed it away it ran very fast. 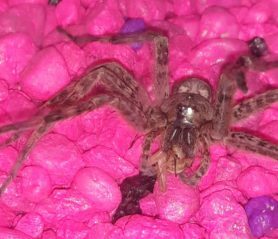 I think it was a wolf spider. I see them often and this was a little one. 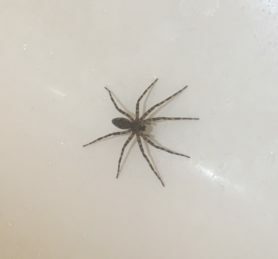 I have seen one about the size of the palm of my hand. 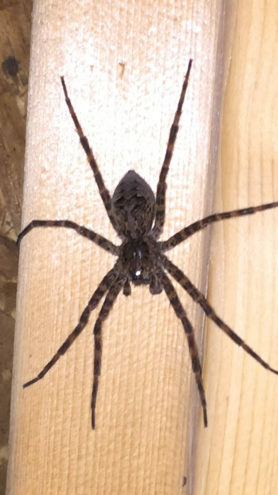 Hi, this is a Dark Fishing Spider, Dolomedes tenebrosus.